When one is on the spiritual path, how do you know you are being distracted. A little over a week ago, I was in Las Vegas to do workshops and sessions. 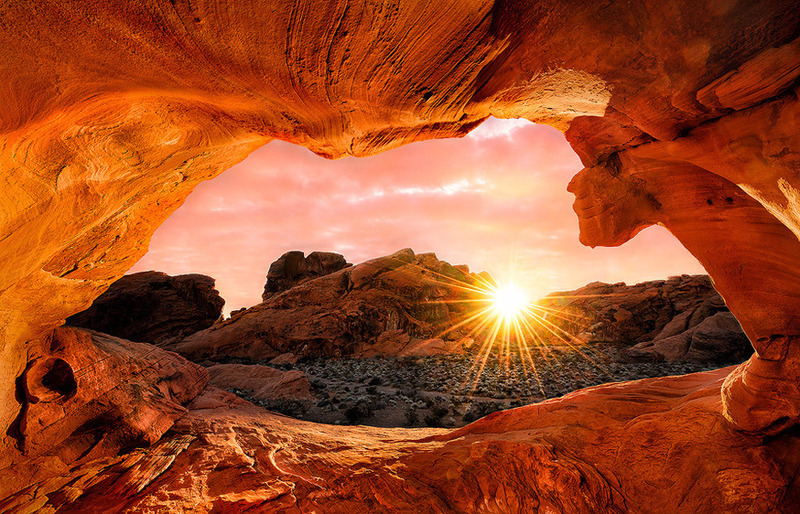 There is a favorite place I like to go, about 50 miles north of Las Vegas, called “The Valley of Fire”. It is a sacred place where fire-red rocks have been exposed from thousands of years of erosion. Many movies, including Star Trek, have been filmed there because of the unusual formation and coloration of the rocks. 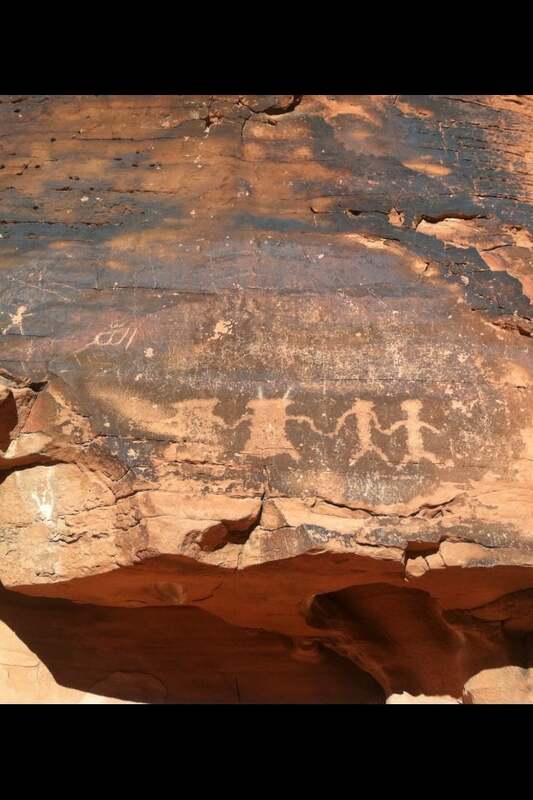 There have been other cultures there, as well, that have left “petroglyphs” (marks in stone) on the rocks. In many places on these red rocks there is a natural dark “varnish” that when scratched through leaves highly legible marks. I often go to the Valley of Fire for ceremony, meditation and gratitude, and to reconnect with Mother Earth. On a beautiful Sunday morning, I drove to a place in the Valley called “Mouse’s Tank”, so-named after a colorful aboriginal that hid out there from the authorities many years ago. It is a place where rare rainwater washes through the rocks and can sometimes collect in deep basins and remain there, long after the rains have ceased. It is also an area abundant in petroglyphs, and this was my reason for going, to meditate on their meaning. Miguel Angel Vergara and I had just finished a workshop the week before in Calgary, Canada, and my mind was full of Mayan glyphs and their meaning. His sudden question gave me a little start from my meditation. I answered: “I don’t know” in a soft voice as I was deep in concentration on the markings. You know, I am not sure why I answered him in that way. Was it because I really did know and did not want to tell him something that was too far out there for him to understand? Was it because I didn’t know? Wasn’t confident in my feelings? Should I have told him directly, that perhaps he was ready to understand, and it was my opportunity of service to tell him? To me, the glyph clearly showed two humans and two extraterrestrials joining hands, the union of the human race with extra-stellar evolved beings who are our ancestors and teachers. These symbols were but a few of many that I observed and felt that I understood their meaning. Afterwards, I drove further into the valley, taking pictures, movies, and doing tobacco offerings and prayer. When you leave the park to the west, just before you get to the I-15 to go south to Las Vegas, there is the Moapa Indian Tribal Reservation Store, Casino (very small) and fireworks center. It’s a really interesting place. I usually stop there. Just outside there was a small trailer with a large, wizened, older aboriginal man selling great beef jerky. I’ve bought from him before, but this time was different. As I was purchasing the jerky, he noticed my Mayan necklace and said he’d always wanted to go to Central America. I told him I take people there every year to study the Maya Cosmology. “Do you know what it’s about?” he asked in the way an elder would. “Very ,” he said, and extended his large rough hand to shake mine, our eyes locking in knowingness. So this time I did not miss my opportunity to step forward in my knowing, to offer myself clearly. Whether to the appearance of a novice or an elder, Spirit is always testing us to see if we will live up to our soul’s purpose. These are the Happenings Along the Path that deserve our attention. Be aware of your path, your purpose for being here.